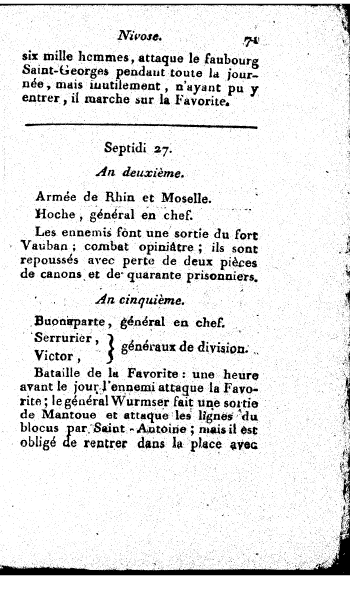 Enemy sortie from the Vauban fort; harsh fight; they are repelled, losing 2 guns and 40 prisoners. 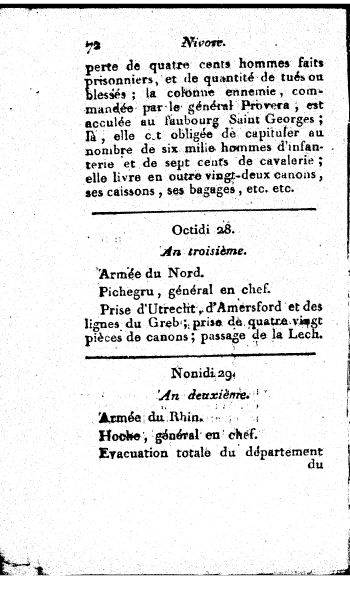 400 prisoners, and many casualties; the enemy column, led by General Provera, is cornered at the Saint Georges suburb; there, 6,000 infantrymen and 700 cavalrymen surrender; they leave 22 guns, many caissons, luggage, etc. etc.